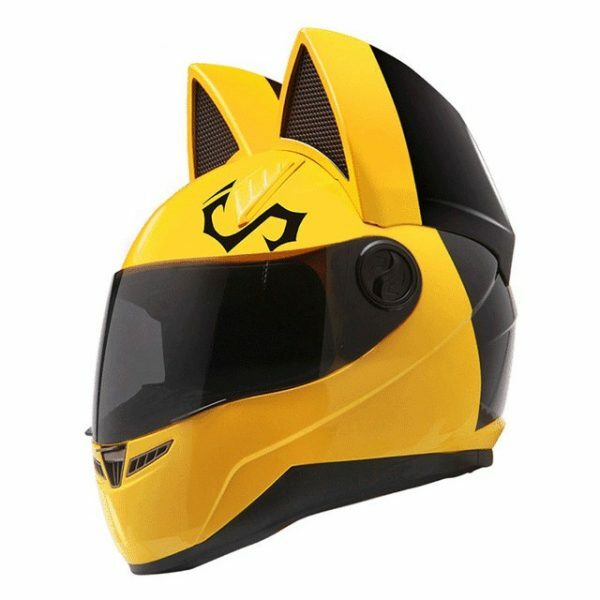 The Nitrinos motorcycle cat helmet is an extraordinary motorcycle helmet from Nitrinos Helmet motostudio with cat ears. The first sample of cat helmet was produced with a view to Nitrinos helmet participation in a festival of Japanese culture in 2011. 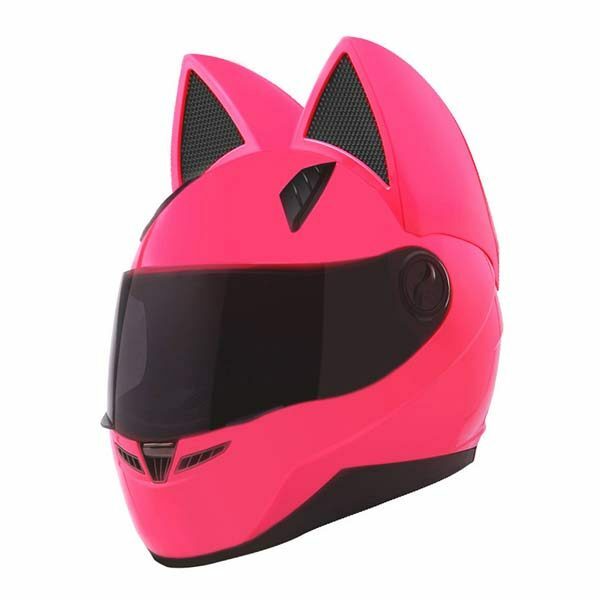 After the festival, the cat ear helmet became available for orders. 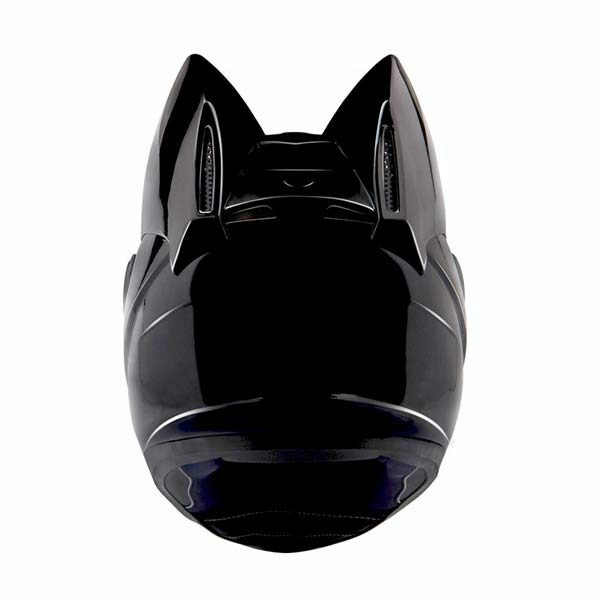 Cat helmet is available in all popular sizes: XS, S, M, L, XL. They took a modern and convenient IXS-1000 as a basis of this helmet. 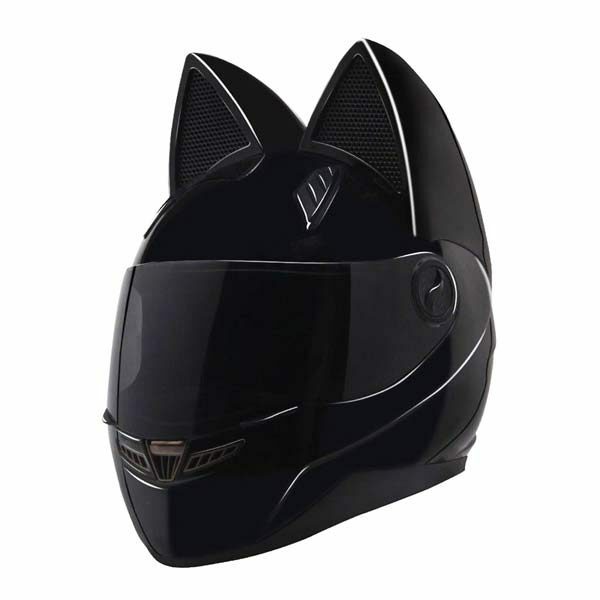 Each Nitrinos motorcycle cat helmet is equipped with a single light protective visor and integral folding sun-visor. 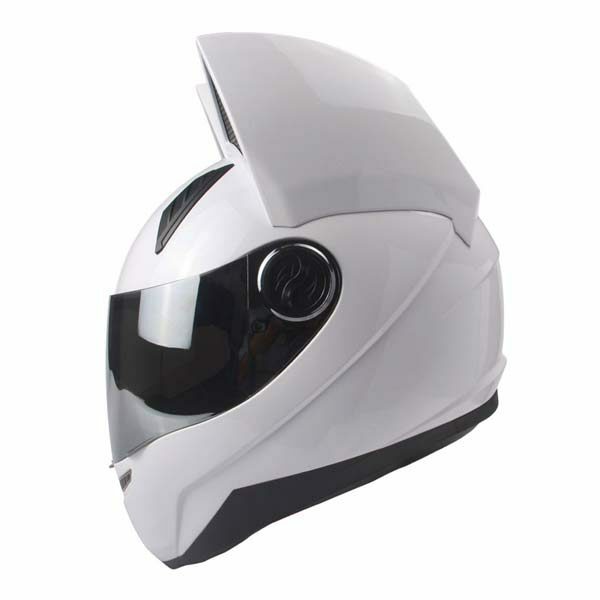 The helmet has a removable lining of 100% polyester as well as the double ventilation. 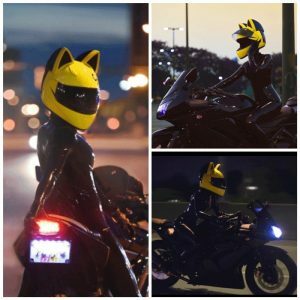 Fiberglass cat ears are firmly fixed to the body of the cat helmet, but in case of an accident, they are destroyed without any danger. The cat ears are performed of through type. Thus, up to a speed of 100 km/h, the ears do not generate additional resistance. Weight of the helmet is 1780 grams. Each Nitrinos motorcycle cat helmet is made to order within 3-5 weeks. Delivery is managed to any country and it is free. Delivery time takes 2-4 weeks depending on the country and region. You shall choose your size, desired color – to make your order. Multi-density EPS security buffer layer provides state-of-art energy absorption. Comfort soft 3D liner padding used breathable technical fabric, hypoallergenic, completely removable and washable.